During your 25th reunion, your class established The Commerce 1988 Award in memory of classmates Chris Verney and Margie Philp. This Award, based on both financial need and academic merit, supports successful recipients upon entering the Commerce program. 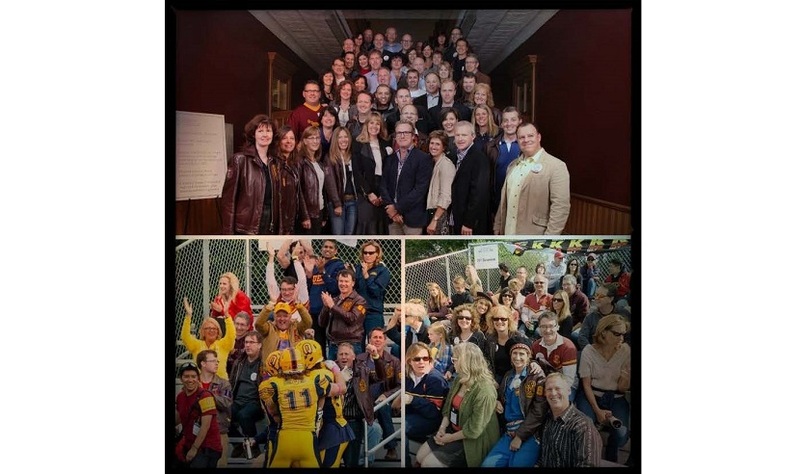 To honour your 30th reunion your class has once again set the bar high, with the intention of increasing the impact of the Commerce 1988 Award by changing the criteria from awarding an entrance award (one-year award) into a four-year renewable award. The impact of this change cannot be understated. To recognize this change, your class committee also changed the name of the award to "The Commerce 1988 Honorary Award". In addition, your class will be dedicating their class gift in memory of Carolyn Sexsmith, Brian Pearson, Margie Philp and Chris Verney. Tuition has drastically increased and is now over $19,000 in the first year of the Commerce program. Affordable education is essential to ensure all prospective students have access to the Queen's education, experiences, friendships and community. Your gift will make the difference between a student choosing Queen's or not.